This agreement constitutes a contract between the guest(s) and June Lake Accommodations, (JLA), acting as Agent. Please read this Vacation Rental Agreement thoroughly. 1. Reservation Requirements- Reservations are not considered “guaranteed” until a payment of 25-100% of the total rental fee including tax and fees is received, these Terms and Conditions are accepted and agreed to within 5 days of making reservation and is approved by June Lake Accommodations. Reservation hold is 25% of total balance. Final balance is due 30 days before arrival. JLA will automatically charge credit card on file 30 days before arrival if no other arrangements are made. Guest will receive an automatic reminder email. If payment in full is not received by June Lake Accommodations 30 days or more prior to guest arrival, reservation may be subject to cancellation. Accepted forms of payment are Visa, MasterCard and Discover. All payments are due 30 days prior to arrival. 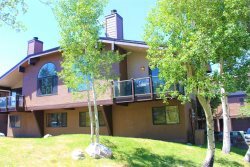 June Lake Accommodations reserves the right to reject guest reservation for any reason. 2. Confirmation of reservation(s) – Confirmation of the reservation will be emailed to Guest(s) upon receipt of the reservation advance payment. Guest(s) must electronically e-sign acceptance of Terms and Conditions within 5 days of making reservation to insure a valid reservation. 3. Cancellations: Payment and Cancellation: An advanced deposit of 25% is required at time of booking to guarantee reservations. Final payment is automatically taken 30 days prior to arrival. Cancellations at least 31 days prior to arrival are refundable less a $35 bookkeeping fee. No refunds for reservations canceled 30 days or less. 4. Refund Policy – No refunds or rent reductions will be made due to failure of appliances, fireplaces or equipment. No refunds for early departures (less days than reserved). No refunds will be given for delayed arrival or reducing the number of nights reserved. No refunds will be given for cancellations, family emergencies, inconveniences, air quality or dissatisfaction. No refunds for reservations canceled 30 days or less. It is recommended guests purchase optional Travel Insurance or Mountain Resort from CSA which can be added when reservation is made. 5. Check-In/Check-Out Times – CHECK-IN TIME IS After 4:00 p.m. – Check-in takes place at the following: 2784 Highway 158, June Lake CA. Keys are NOT available until the property is ready for occupancy. No exceptions to this policy will be made. Please call in advance if you may be arriving after 5:00 p.m. so that arrangements can be made for Guest property keys to be picked up. CHECK-OUT TIME IS before 10:00 a.m. – NO EXCEPTIONS! Check-out is strictly enforced so that Agent has adequate time to prepare the property for the next guest. Please return keys to office or outside drop box before 10 a.m.
6. Age Requirements – Guest must be 21 years old to make any reservation. Those under 21 must be accompanied by an adult 21 or older. 7. Bookkeeping Change Fee – All reservations that need date and/or property changes may be subject to a nonrefundable $35 bookkeeping fee per change. All changes must be made 30 days prior to your arrival date. 8. Maximum Occupancy – At all times, the maximum occupancy is the number the home sleeps and posted on interior and exterior notices at all properties. Occupancy is set by Mono County Ordinance with 2 people per bedroom plus 2 additional people and in no circumstances can a rental home exceed 10. There may be penalties or additional charges if there are more guests than maximum occupancy. Price per night includes entire unit. We do not charge based on number of occupants. We usually do not count children under 12 as guests, however we do not provide extra linens, cribs, roll-away beds etc. Absolutely No House Parties Allowed! Maximum parking allowed is posted at each unit! No campers, motorhomes or RV's are allowed to park on property. No offsite parking under any circumstances Make sure you park in designated parking spots to avoid being towed. This is important during winter months when snow removal occurs. 9. Furniture – Furniture, bedding, mattress pads, utensils, dishes or any other property must not be taken out or transferred from one property to another. Some items are subject to change without notice. Guest will be charged for any items removed from unit. 10. Items Provided – A basic supply of linens are provided in each property. Bed linen and bath towels are not changed during your stay. You can exchange dirty linens for clean linens at our office. Soap, toiletries, trash bags, and coffee filters are provided. Please bring your own coffee, sugar, condiments and spices. All kitchens have limited cooking utensils, pots, and pans. If you use any cook ware/utensils that are not basic, please provide them yourself. Prior to your departure please clean dishes, take the trash to the dumpster provided, and leave unit in nice, orderly condition. 11. Rental Assignment Change – Agent reserves the right to change Rental Assignments without prior notice or liability in the event of a sale of the rental property, or if the unit becomes unavailable for any reason. When comparable accommodations are not available, guest(s) will have the option of selecting from available properties or receiving a complete refund. 12. Pets – We understand the desire to bring a pet on vacation with you; therefore a select few of our vacation rentals will allow dogs to stay on premises. Please view our website to see the properties that will accept dogs. If you bring your dog, there is a $25 per day, per dog fee, 2 dogs maximum. The pet fee is non-refundable. Pet Agreement: The Pet Policy is applicable to dogs only – cats or other pets are never allowed. Every Pet must be disclosed to June Lake Accommodations BEFORE your arrival. If you arrive with an unapproved pet, including a valid service dog, you are risking immediate eviction and loss of your rental payment. Pet Policy is set by each individual owner. See individual listings for additional information. Terms applicable to all pet-friendly houses: Dogs must not be left alone in the house at any time. No dogs allowed on the furniture. All dog waste outside must be picked up and disposed of properly. A fee of $100.00 per hour will be charged to remove and dispose of pet waste remaining on premises after check-out. No wet dogs allowed in the house. All dogs must be treated with anti-flea medications. Dogs are not allowed to roam and all leash laws must be observed. Guests agree to pay for any and all damage caused by pet. If housekeeping is required to remove fur from furniture or clean up after pet, it will be considered extra cleaning resulting in extra cleaning charges. If we discover you have dogs outside or inside the rental property that is not pet friendly, a $300 fee per day will be charged to the credit card on file. You would also be in violation of this agreement per item 16. 13. Pest Control – Many different pests live and thrive in this region, including mice. Should you experience an extreme pest issue please contact guest services so an agent can attempt to resolve the problem as soon as possible, if possible. 14. Listings and Pricing – Information regarding individual listings is believed accurate but cannot be guaranteed. We have made every effort to ensure that all the information on Agent‘s website(s) is current and accurate. Rates, furnishings, fees, and taxes are subject to change without notice. 15. Indemnification and Hold Harmless – Guest(s) agree to indemnify and hold harmless the Owner and Agent for any liabilities, theft, damage, cost or expense whatsoever arising from or related to any claim or litigation which may arise out of or in connection with Guest(s) use and occupancy of the rental property including but not limited to any claim or liability for personal injury or damage or theft of property which is made, incurred or sustained by Guest(s). 16. Violation of Agreement – If Guest(s) violates any of the conditions of this Agreement, Agent may terminate this Agreement and enter premises. Upon notice of termination of this Agreement, Guest(s) shall vacate the Premises immediately and forfeit all rents and security deposits. 17. Damage Protection. The $39 damage waiver covers accidental, non-negligent damage up to $1,500. Guest MUST disclose anything broken or damaged during your stay prior to departure. Your Damage Protection Waiver is valid only if any damage done is reported prior to departure. Damage waiver coverage is void after departure. All units are checked promptly after each departure. Guest can skip damage waiver fee and pay a $1,500 security deposit that is refundable after departure and property is inspected. You must contact our office for the Security Deposit option. Damage caused by pets is not covered by this Damage Waiver fee and is the responsibility of guest. Damage in excess of damage waiver covered is the responsibility of the guest. Guest agrees that damages amounting to more than $1,500 will be charged to the credit card on file. 18. Credit Card Agreement – I am providing my credit card number as a guarantee of payment. I agree to pay all rent and fees related to property rental. I accept liability for any and all damage charges and authorize JLA to charge my card. 19. Right of entry: Agents reserve the right to enter property to investigate disturbances, check damages, make repairs, alterations, and improvements as Agents deem necessary. 20. Icy/Snowy Roads: Roads leading to many rental properties are mountainous and sometimes icy. JLA agents are not responsible for conditions of road, driveways, or any damages from conditions of roads and driveways. SOME DRIVEWAYS REQUIRE FOUR WHEEL DRIVE OR CHAINS. Guests should make every effort to use a vehicle that can tolerate these types of wintry driving conditions. NO REFUND OR CREDIT will be offered if guests are unable to arrive to premises as a result of inadequate vehicle or road conditions. During winter months, Guests must carry chains as required by local vehicle codes. Cal Trans and county workers typically plow the highway first, then side roads. Each owner has a private snow removal company on contract and they will plow driveways per their contract with each homeowner or HOA. 21. Weather: We cannot control weather and it can change rapidly here in the High Sierra. Please pack accordingly. Summer months sometimes have cold weather, strong winds, rain and even snow. All our units have heating. Please turn down heat when away from unit and upon departure. None of our units have air conditioning. 22. Complaints: Any complaints to the Police department concerning the behavior of the guest, guests family, other occupants, or visitors while occupying the Rental Property shall, at the Agent's sole option, result in immediate termination of the Rental Agreement and will be required to vacate rental unit immediately. 23. Smoking: Absolutely NO SMOKING will be permitted inside any units. We are in an area with year-round high fire danger, therefore all waste from smoking anywhere on the outside of the premises is to be disposed of in an appropriate way to minimize environmental impact. 24. Lost and Found: For any items to be returned to you, please provide a prepaid postage return package or box. Any items that remain in Lost and Found for more than 30 days after Guest departure will be donated to a local charity. 25. June Lake Accommodations reserves the right to refuse service to anybody or group for any reason.